$18.04 billion in profit and the tax bill is? In Apple’s case it is neglectable if not “ZERO”. Last week Apple Inc. announced the best quarter in company history. They just blew it. They deserve it. They changed the world one iPhone a time. I am a big Apple fan. Our household owns three MacBooks, one MacBook Air, one IMac, Two iPhones, one iPad. With a profit margin of 40% Apple earned a few thousands just on us alone. I am using their products everyday and I just love them. I do think they do not deserve to earn 40% profit margin, they should! Apple made $18.04 billion in profit and $74.6 billion in revenue for the last quarter 2014. Apple sold a record 74.5 million iPhones last quarter. They know hold on to a lot of cash: $178 billion – and that is after they just have spend more than $100 billion of its cash on dividends and stock buybacks. Mind blowing. All cool you might say, great job. If there wasn’t this double dutch sandwich with an Irish twist. Apple is paying very little taxes. 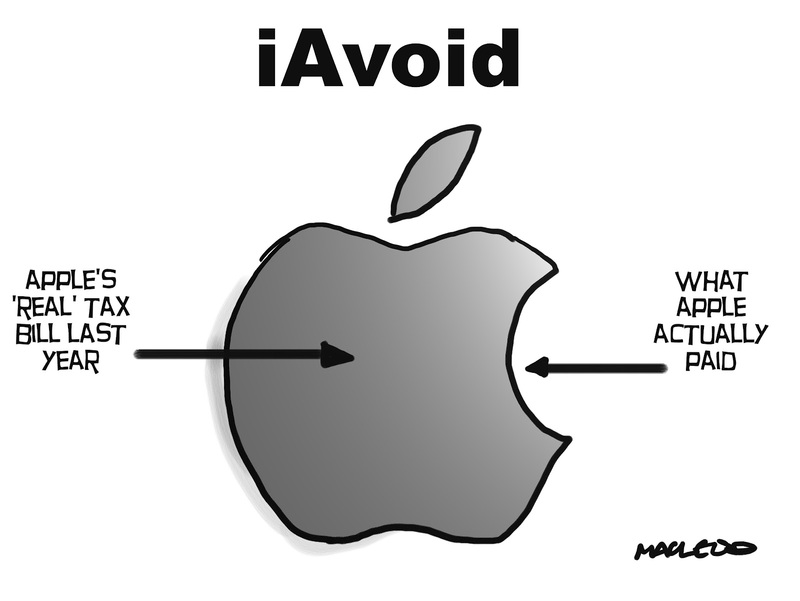 According to a Senate report, Apple “avoided” paying $9bn in US taxes in one year. At present it retains 89% of its balance sheet cash outside America where corporation tax is high at 35%. As a result of international pressure, the “double Irish” system closed on 1 January 2015, although companies already using it – including Apple – can go on doing so until the end of 2020. What? Yes. Just 5 more years and Apple will pay taxes just like you and me – around 35%. Hopefully. The thing is Mr. Cook: We all pay a lot more than Apple does. Why do we have to pay more than the most profitable company in the world? Just because we can’t move our money around the world and park it off shore, have the best financial engineering at our hands? I think it is time that Apple takes its full responsibility. Why are we paying for the roads, hospitals, ambulances, police you are also using when you need them and you are not? You might think that it is “ok” to avoid as much taxes as possible and you are not doing something illegal – but it is it ethical? Just to put things into perspective: Apple’s market cap was $640 billion. That is more than the GDP of all but 25 countries. Number 26, South Africa, had a GDP of $596 billion in 2013, according to CIA estimates. 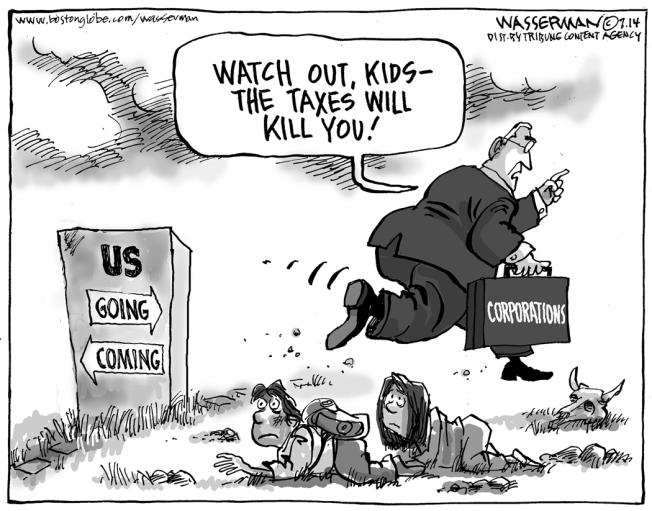 Systematic tax evil – brought to you by international tax laws designed for and by the banks & corporations of this world. Screw us. 3 minutes to doomsday – are you prepared?